Allan Jackson in his early football years. It’s not just the fact that he went from truanting schoolboy to headmaster that marks Allan Jackson out as unusual. The intervening years, a couple of them spent on the fringes of an all-conquering Wolves first team, were eventful, too. He once got into bother with Stan Cullis for sneaking off to see his girlfriend. Then there was the dressing room dressing-down he received from the manager on the day he made what his team-mates thought was a satisfactory enough first-team debut in a victory at Arsenal 12 days before the club secured the second of their three League Championship crowns. “I was approached by Wolves out of the blue really because I didn’t have an outstanding schoolboy or youth career but managed to catch their eye when I was playing for a Burton FA team in Birmingham,” Jackson said today. “I received a letter from the chief scout George Noakes, saying that he had been impressed with me in this game and would like me to sign for Wolves. I was due to take my O levels the following term but they didn’t seem important to me compared with football, so I went to see the headmaster to tell him I wanted to leave. I also had a job that the club had found for me in the garage at Don Everall coach company. “There were various training sessions over the summer with lads from all over before I signed professional on my 16th birthday in the August of 1954. It seemed that I went straight from watching these stars like Billy Wright, Bert Williams and Ron Flowers on television to playing practice games with them – and they just accepted me as if I was an international player, like so many were at the club. “My career at Molineux was all about firsts really. I had certainly never been away from home before and my dad, who was a miner in the village where we lived in South Derbyshire, filled up when I had to wave him off at the station in Wolverhampton. “Nor had I ever been in a hotel until Wolves put me up right by the ground in the Molineux Hotel. In the next year or two, I flew for the first time when I played and scored in the European Cup tie in Schalke. I regarded myself very much as an inside-left but Wolves also had me on the left wing and then at centre-forward for the first time in my life. The 75-year-old is from Newhall, a mile from Swadlincote. Nigel Sims, David Nish, Vic Halom, Rodney Fern and the late Grenville Hair, a Leeds full-back of some 470 appearances who was signed by Major Buckley in 1948 and who sadly collapsed and died while manager of Bradford aged only 36, were from the same locality. Another of his claims to fame is his standing as one of the youngest players ever to appear in the FA Cup. He was 14 years and two months when he skipped school to play in the very early rounds for Newhall United in a replay defeat against Boots Athletic from Nottingham. “I spoke to the FA and my wife and myself were invited as guests to the Cup final of 2001 between Liverpool and Arsenal, when Michael Owen scored twice,” he added. “They were very interested in my story. Such reprieves weren’t an option with the Iron Manager. Having picked him for his debut at Highbury on Easter Monday of 1958 – a day that started for the 19-year-old with a trolley bus ride into town from his digs in Penn – he castigated him at half-time, although the feedback from his team-mates had been positive. “Obviously I was nervous before the game at replacing Jimmy Mullen, who was injured, and decided that I would play a simple pass the first time I received the ball, just to settle me down a bit. “Sure enough, I knocked it 20 yards back to Gerry Harris, who was playing behind me. Later, I dispossessed Stan Charlton and crossed for Peter Broadbent to score one of the goals in our 2-0 win. “Gerry was saying things like ‘Keep this up, Allan, and you can make the left-wing position your own’ as we walked off. The other players were terrific with me as well and the Express & Star said I had made a ‘smart’ debut. But Stan Cullis gave me a right roasting for not taking responsibility. He said safe passes like the one I played were not the Wolves way. “He also found me out one Saturday when I should have been at Molineux to watch the first team. I reported as ordered and made sure I was seen there, then I sloped off to catch the train and bus home, so I could go that night to a dance with the girl who became my wife. Jackson, a boyhood Derby fan who is now a season ticket holder at Pride Park, didn’t have to wait long for his second game in Wolves’ first team. It came only a day after the first. There was no happy ending this time, though, a 2-1 home defeat in the return against Arsenal being followed by Mullen’s return to fitness in time for the title run-in. 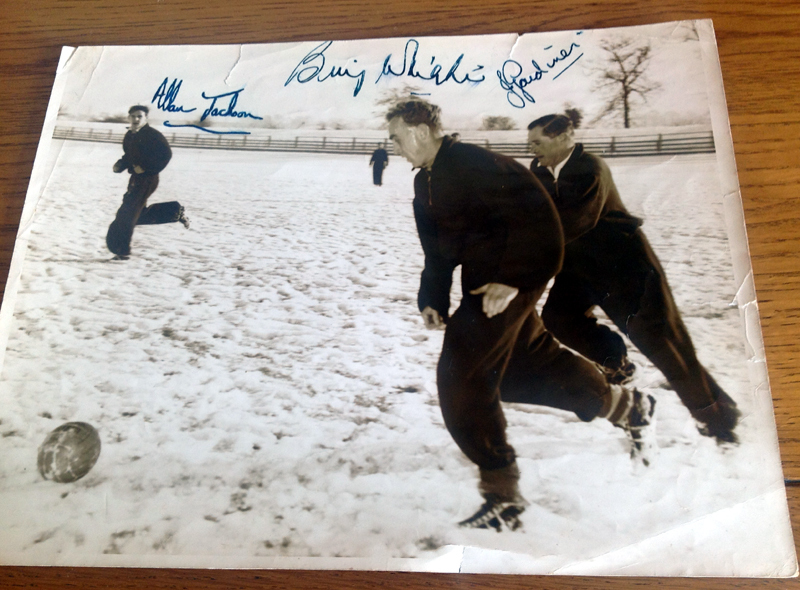 Training with Wolves greats….a photo of a snow-bound encounter with Billy Wright and Joe Gardiner. It was in the late autumn of the following season that opportunity next came round at first-team level for the younger man. 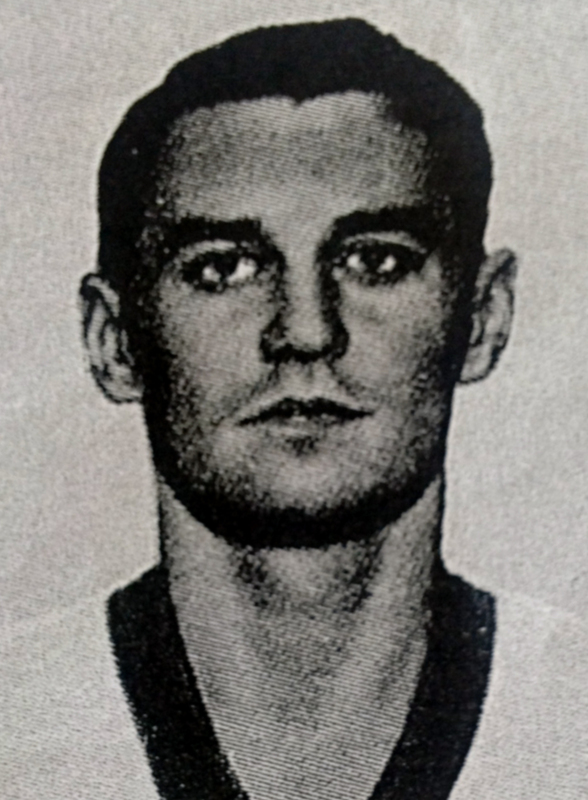 A hat-trick in the reserves at Preston, coupled with Jimmy Murray’s loss of form, earned him a chance in attack in the club’s first ever European tie. The home leg was drawn 2-2 but Schalke shaded the second 2-1 despite an entry on to the score sheet by Jackson that came three days after he thumped a header past England international Colin McDonald from the edge of the area in a 2-0 League victory at Burnley. 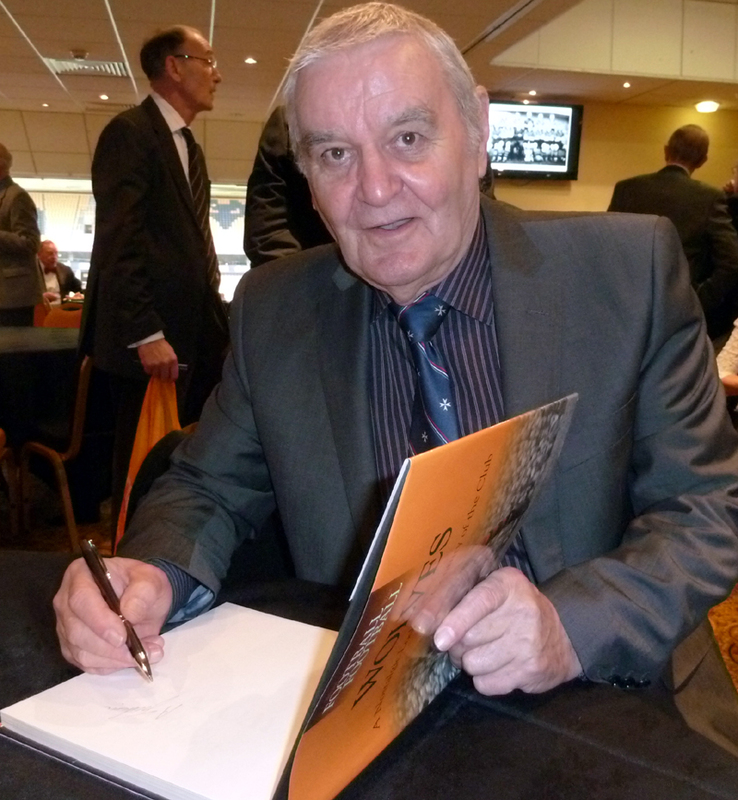 Sadly, apart from an outing in the follow-up defeat at home to Preston, that was the extent of his first-team career at Wolves; six games, two goals and a sobering awareness that it was very difficult getting past Murray, Broadbent Dennis Wilshaw and his good friend from the Staffordshire-Derbyshire border country, Bobby Mason. Food for thought has since come with Jackson’s decision to surprise then Blackburn manager Dally Duncan by saying ‘no’ to a then Second Division Blackburn at a time when he was under contract at Molineux. Might he just have played against Wolves in the 1960 Cup final he gone? Might he even have displaced the disaffected Derek Dougan in Rovers’ line-up? At least part of the reason for rejecting the switch to Ewood Park was a report in the Sports Argus that talked of interest in him from Birmingham – a possibility that interested him greatly as Blues were in the top flight and virtually on the doorstep. Instead, his next destination was Bury, who sent a manager-and-chairman delegation to Wolverhampton to successfully convince him they were spending generously in a bid to escape the clutches of Division Three. It proved a good move, especially as his acceptance of their offer prompted Cullis to release to him some loyalty money that he had previously withheld. “I scored something like 15 goals in my first season, 1959-60, and we would have gone up if we had not tailed away towards the end,” he said. “We won it by six points the year after, when I scored about 25. “Bob Stokoe, who later became player-manager in succession to Dave Russell, was among my team-mates, so were John McGrath and the well-known Glasgow Rangers player Johnny Hubbard. I was very happy there. We bought a house very near Gigg Lane and the people were so friendly…….every day was like being in the Rovers Return in Coronation Street! “I took penalties and had a good record. The only one I missed was against Derby, with Reg Matthews in goal, when I had persuaded one of the other lads to step forward if we got one. But Bob Stokoe rushed forward to see what was happening and ordered me to take it. I thought they might know my style, so I hit it with everything I had and smashed it against the post. The Derby Evening Telegraph described the ball as having bounced out for a throw-in without bouncing. Forty three goals in 124 League games confirmed his stay in Lancashire to have been a successful one as well as a happy one. Less so his next venture. Jackson had not long netted in a win at Leeds when a summons to Stokoe informed him that Brighton, against whom he had hit a hat-trick in the recent past, were offering £8,000 – a bit more than Wolves had recouped for him. The Seagulls’ secretary was Graham Hortop, a man who had occupied the same role at Bury. He became a key man in the negotiations and sold the move to the player. A car was hired to ferry the couple to the Goldstone Ground but Jackson came to regret his stance that a player who was not wanted should move on. He didn’t settle, didn’t perform to his best in 20-odd appearances and, with two children under two, was not long in lodging with his sister in Newhall, from where he sought the security of a job guaranteed to feed young mouths. “I was still only 26 or 27 but wasn’t happy with moving from one 12-month contract to another and possibly uprooting the family again,” he added. “I thought it was time to look for a steadier job. “I worked in a factory for a while and then found employment in child care for Burton Borough Council. I did that for four and a half years and found it very interesting. “From there, I set about gaining the qualifications I had not stayed around at school for and moved into teaching at a primary school. It caused some raised eyebrows given that my reports used to say I was a good PE student as captain of the football and cricket teams but prone to being idle in my other lessons until the exams came around. There is one other football strand to the story. While he was on the factory floor, Jackson received a call from Peter Taylor – then the manager at nearby Burton Albion. Alan Jackson, pictured in the winter while back in Wolverhampton for Bert Williams’s funeral. In the background is John McAlle. Brighton agreed to him signing for them on condition that they would receive half the fee if the non-Leaguers ever sold him to a club among the big 92. That wasn’t likely to happen with the player, now an accomplished right-half, happy with his joint roles; especially as he found Brian Clough’s long-time assistant a brilliant man-manager. “I was due to do a 6-12 shift one Saturday morning but we were playing at Wimbledon and Peter sorted it so I could finish at 11. He drove me down in his car but my legs were like lead after work and we lost 4-1. “I said I couldn’t play again straight after a shift like that but I loved it at Burton and was there for four years. I got on really well with Peter, who actually casually said I could go and join he and Brian Clough at Hartlepool if I wanted. I think he knew I wasn’t ready for that type of commitment again, though. 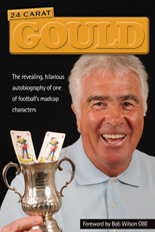 “Peter could blow his top like Stan but not as often and was quite genial. That said, Stan was very good in posting to me in Bury the second of the silver cups I won for helping Wolves to the Central League title. 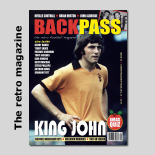 Mmmm, rewind for a moment for more food for thought…..could Allan Jackson, the inside-left who never played in that position in Wolves’ first team, actually have become Clough and Taylor’s long-term right-half rather than John McGovern? Posted on: Monday, June 2nd, 2014.